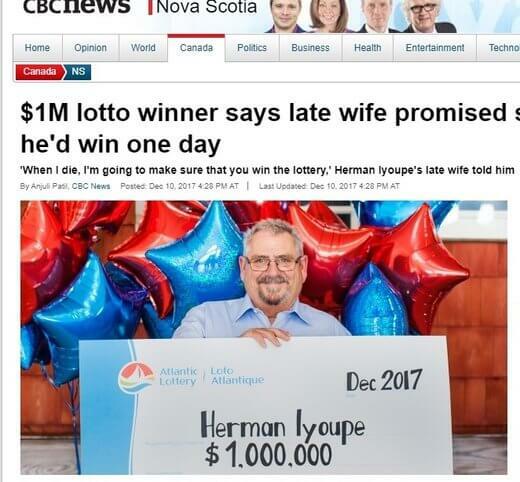 With that kind of support Iyoupe continued playing the lottery after she passed. And on 3rd December, her promise was fulfilled. He got a printout of the winning numbers and proceeded to check them against his tickets while having coffee. He soon realized he had won the top prize of a million dollars. His first thought was to thank God and ask Him to give his late wife a hug and to say he loved her. He has decided to finally quit his dump truck driving job now that he’s well heeled. He also wants to do some home upgrades. And he intends to visit Montego Bay in Jamaica to spread some of his wife’s ashes. She’d always wanted to visit the place.